Why Do You Need Professional Help for End of Lease Cleaning? If you have ever lived on a rented house, you know the importance of end of lease cleaning. After the end of time, when you need to hand the house to the landlord, you need to ensure some things. One of the primary things includes cleanliness. By hiring professionals you can be assured of excellent services at the most affordable price. After staying in a rented home, it becomes really difficult to give it the look of day 1. But the professionals it becomes as close to it as possible. One of the main reasons you need end of lease cleaning Perth is to get back the deposit. Are you moving to your dream house? Is it time to leave the rented apartment? Well, you need to ensure the house is restored to its original look. This is only possible through bond cleaning in Perth. Experts specialize in such services and offer you the best service as and when needed. Wondering what are the other reasons for hiring any house cleaner professionals? It goes without saying that you hire experts for end of lease cleaning Perth since they use the right equipment. When you take up the cleaning task in your hands, you don?? ?t get the best results. It is because you don?? ?t know the right technique and don?? ?t have the right equipment. 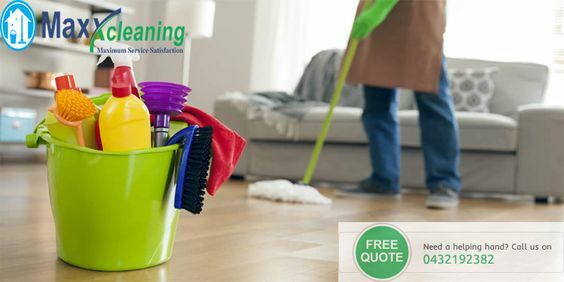 If you want to get back the deposit without any hassle, you need to hire experts specializing in end of lease cleaning.
? ?When you hire experts, you get the advantage of receiving quality work. One of the reasons for it is the professionals have proper and in-depth knowledge of such cleaning. In fact, they know that bond cleaning in Perth is different from regular cleaning. So, they ensure that your requirements are thoroughly met. The professionals visit the house, see what needs to be done and then offer the service accordingly. Are you tired of the rigid stains on the floor? Are you afraid your landlord wouldn?? ?t return the deposit? Well, you need to hire Perth house cleaner as they have all the skills needed. Using the right machine and the right technique they are capable of removing all rigid stains and give your rented home a new look. Skills come from both practice and experience that only professional cleaning experts can provide. Author adminPosted on January 18, 2018 January 25, 2018 Categories end of lease cleaningTags Cleaning, End of Lease cleaners, end of lease cleaningLeave a comment on Why Do You Need Professional Help for End of Lease Cleaning?